The Florida Division of Workers’ Compensation’s decision to require preauthorization for all compounded drugs represents a fair interpretation of a state statute, attorneys on both sides said Thursday. The requirement went into effect on July 1 with the implementation of the 2016 edition of the Workers’ Compensation Health Care Provider Reimbursement Manual. The manual now defines the dispensing of compounded drugs as a “specialty service” under 440.13(3)(i) of the Florida Statutes. The section specifies that claims for specialty services, surgeries and diagnostic tests that cost more than $1,000 require preauthorization. But the DWC is using the phrase “and other specialty services that the department identifies by rule” to label compounds and not require them to be reimbursable, regardless of price, unless approved by the carrier. If the carrier fails to respond to the written request for authorization within 10 days, or if emergency care is necessary, then preauthorization is not required. “I think the statute’s very broadly written. Our Legislature understands that broad statutes are going to be broadly interpreted. I have to believe they intended it to broadly interpreted,” said David Langham, deputy chief judge of compensation claims for the Florida Office of Judges of Compensation Claims. Disputes arising over compounds are not settled by the OJCC, he said. “Those reimbursement disputes all run through the division. We don’t handle any of those,” Langham said. Orlando claimants’ attorney Geoff Bichler said preauthorization always gives him pause because it can delay treatment for injured workers. How a statute is interpreted is less important than how it’s applied, Bichler said. Workers’ compensation law professor Michael Duff of the University of Wyoming said federal and state courts generally defer to agencies in their interpretation of rules. In the federal system, there are two U.S. Supreme Court decisions that are instructive, Duff said. The cases are Bowles, Price Administrator v. Seminole Rock & Sand Co. from 1945, and Auer v. Robbins from 1997. Both deal with administrative law. Under the so-called Auer and Seminole Rock deferences, an agency’s interpretation of its own regulations is given controlling weight unless it is plainly erroneous or inconsistent with the regulation. “As a general administrative principle of state law, that’s true, too,” Duff said. “The agency doesn’t have to be right in interpreting an ambiguous statute. It simply has to be reasonable. Winter Park defense attorney Rogers Turner said the DWC informed him recently that the preauthorization of all compounds was in reaction to the Sentrix case. Sentrix Pharmacy and Discount is the pharmacy arm of HealthIE Network, later known as Health for the Injured Employee. The network solicited workers’ compensation claimants for telemedicine examinations by Dr. Samuel Gerson, a former California physician who was placed on probation for seven years after pleading guilty to forging a narcotic prescription and drunk driving. Gerson, in a May 11 consent order with the Florida Department of Financial Services, agreed to cancel all prescriptions he had written for injured workers; to not affiliate with any provider that treats injured workers; and to pay a $5,000 fine. Sentrix, meanwhile, is embroiled in a dispute with two insurance carriers over reimbursement of $2,262 for a single prescription. The case lies with the state Department of Administrative Hearings. Regulators were able to amend the health care provider reimbursement manual by rule instead of through legislation because the revisions are projected to cost less than $1 million within the first five years of implementation. Florida regulators also want updates to two other provider reimbursement manuals — for hospitals and ambulatory surgical centers — but those are subject to legislation because the National Council on Compensation Insurance says those updates will exceed the $1 million threshold. In fact, revising the hospital manual would cost $80 million, an increase on system costs of 2.2%, while updating the ASC manual would cost $22 million, a 0.6% hike in system costs. William Large, president of the Florida Justice Reform Institute, an anti-trial bar advocacy group, said the DWC’s interpretation of 440.13(3)(i) is correct. Miami claimants’ attorney Ramon Malca also took no issue with the DWC’s interpretation of the statute, but worries how “high school-educated adjusters” will be allowed to use it against injured workers by second-guessing physicians handpicked by carriers. 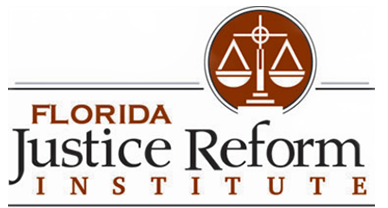 The Florida Justice Association, a labor advocacy group, has taken no position on the DWC’s interpretation of the statute to require preapproval for all compounded drugs, said communications director Ryan Banfill. Jon Moore, acting press secretary for Florida’s chief financial officer, said: ‘Requiring pre-authorization will remove the uncertainty of charges for these drugs, provide cost containment and still allow dispensing of compounds when medically appropriate. "The purpose of the rule change is to provide more opportunity for the carrier to evaluate the efficacy of the compounded drug and prevent the unnecessary dispensing of compounded drugs to drive up workers’ compensation costs for Florida’s employers,” Moore emailed.